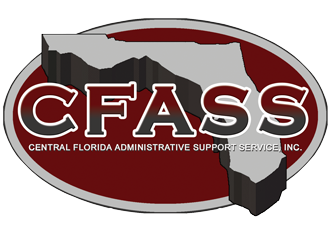 Central Florida Administrative Support Service, Inc. (CFASS) begin in 1994 and has worked hard to communicate your message. Our purpose is to enhance our client’s professional image that contributes to their overall success, by providing the best consulting services, printing at competitive prices, and administrative support. We offer the highest quality of products, services and ideas. Whether you need business cards, postcards for a special sale or promotion or a quality press kit, we have a professional designers who work to create that special piece that captures attention and gives you the competitive edge. When your piece has been designed and approved, we will print it on high quality stock. Whether you have a small business, a church, civic organization, CFASS Printing will handle your printing needs with quantities that suit your needs and competitive prices that fit your budget. Communicate a professional image for your business or organization by ordering from our array of quality products today. Contact us today for a quote on a starter package that includes business cards, promotional postcards, letterhead and more. We look forward to serving you! In 1997 CFASS added an additional feature – Event Planning. We plan large, medium and small Conventions/ Meetings. Our Certified Meeting Planner is on staff and available to plan your event. No matter what look you are trying to achieve with a business card there are literally thousands of ideas to choose from and a thousand different impressions to leave potential clients with. Never send a boring white envelope again! Match your custom envelope to your letterhead or invitations. Plus, you can upload your logo or photo and add custom text to create a cohesive look to all your correspondence. Our team can help you make your custom magnet truly unique and eye catching. We can work with you to include your own photos, your company logo, or make your own custom design a reality.